1144. MacKedie, A.R. 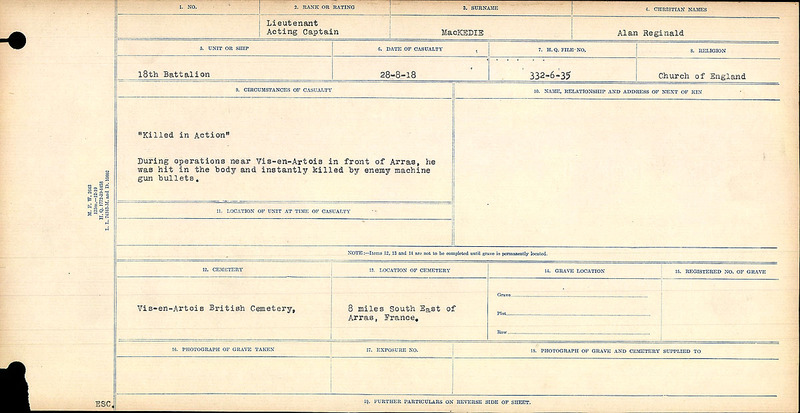 (Alan Reginald) [1890-1918] See Letters from the front: Being a Record of the Part Played by Officers of the Bank in the Great War, 1914-1919. Toronto: Canadian Bank of Commerce. 19201921, vol 1, 344p. : ill., map (fold), ports., index; 25 cm., 82. AMICUS 2417893. NSHD. IA. Reproduced [Manotick, ON]: Archive CD Books Canada CA0291. ISBN 9781897405246. AMICAUS 37410824. OONL. Extract for letter, January 15, 1916, describing recent experiences. 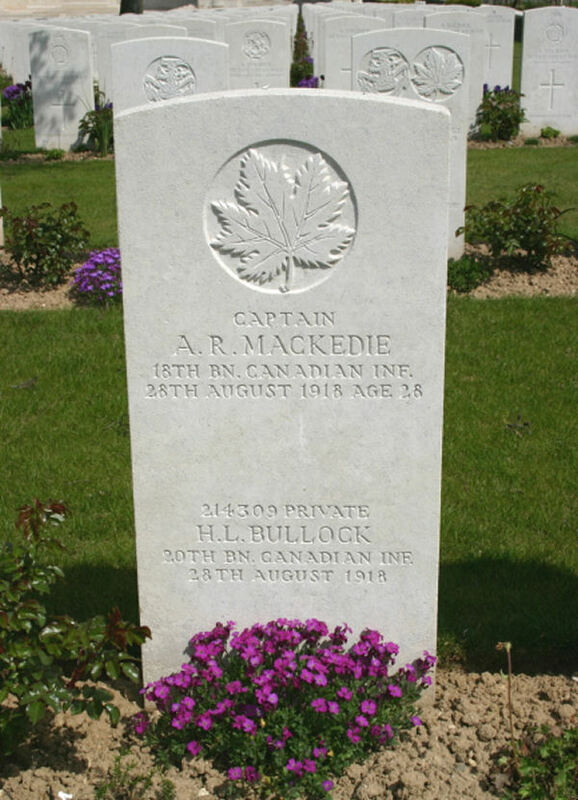 Born in Montreal, MacKedie moved with his parents to Vancouver before 1911. 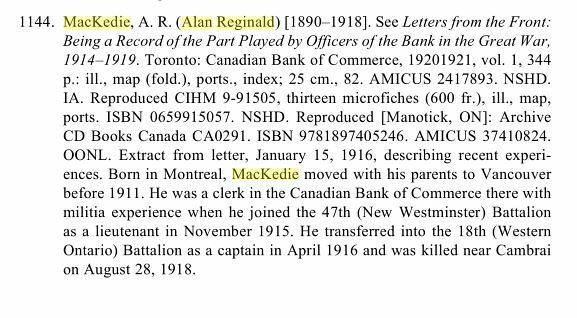 He was a clerk in the Canadian Bank of Commerce there with militia experience when he joined the 47th (New Westminster) Battalion as a lieutenant in November 1915. 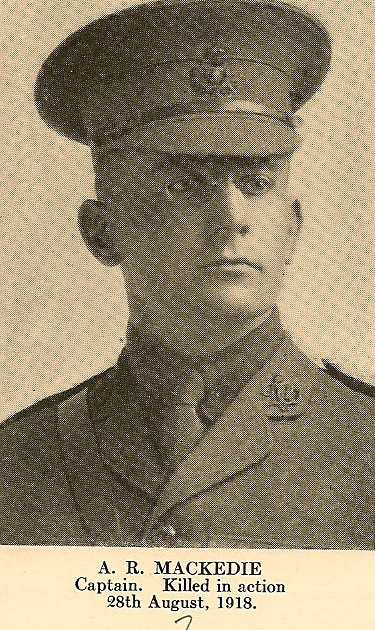 He transferred into the 18th (Western Ontario) Battalion as a captain in April 1916 and was killed near Cambrai on August 28, 1918. “Killed in Action” During operations new Vis-en-Artois in front of Arras, he was hit in the body and instantly killed by enemy machine gun bullets.